Jicama's a common vegetable I used to eat while growing up on the tropical island of Penang in Southeast Asia. Little did I know it originated in South America and the Spaniards spread its cultivation from Mexico to the Philippines. It subsequently went to China and other parts of Southeast Asia. You may have seen it in appetizers such as fresh spring rolls called popiah and lumpia and Asian fruit salads called rojak. It grows underground and once you remove the yellow papery skin, the inside is white with the texture similar to a pear. It tastes slight sweet and goes well with seafood. 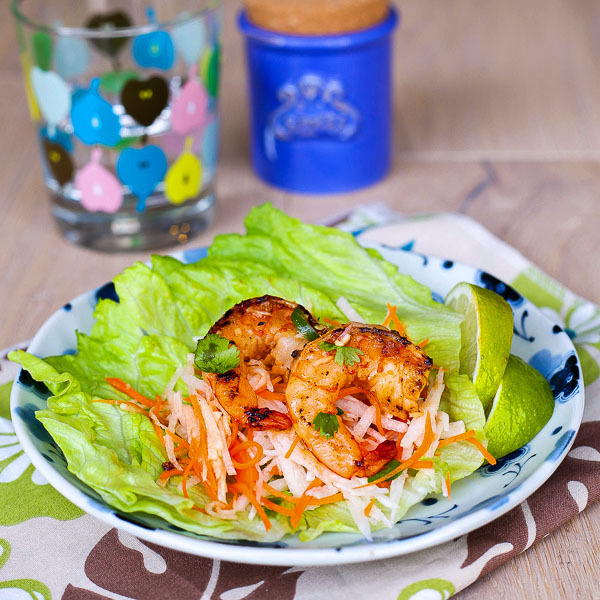 In this recipe, I've taken some lemongrass marinated shrimp and grilled it to serve with a jicama carrot slaw. 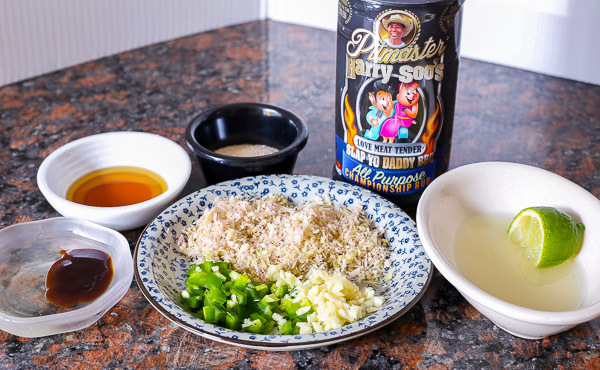 The lemongrass, jalapeno, lime, and fish sauce dressing gives it a fresh tangy flavor and this easy dish can be made into appetizer or main-course salad versions. 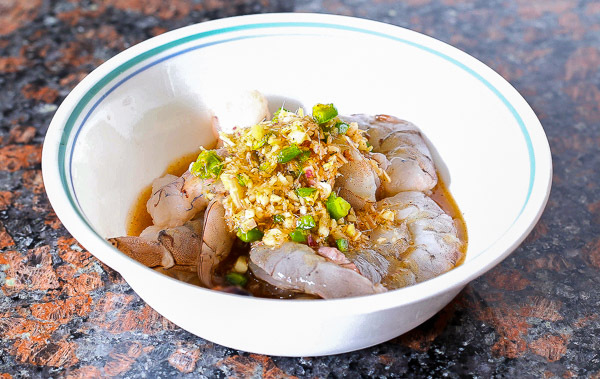 In a mixing bowl, prepare the shrimp marinade by combining lemongrass, garlic, sugar, lime juice, fish sauce, oyster sauce, and cooking oil. 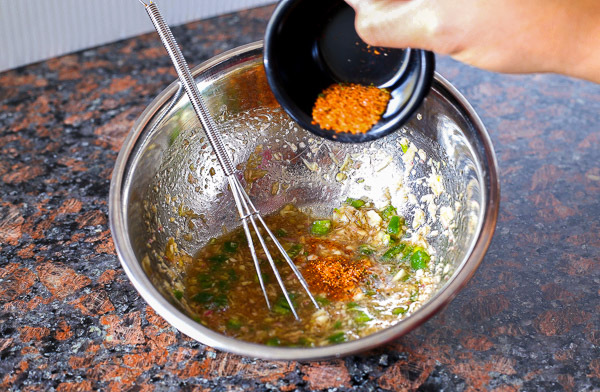 Whisk the marinade and add more sugar or lime juice to your taste. Add some SYD All Purpose rub to taste. 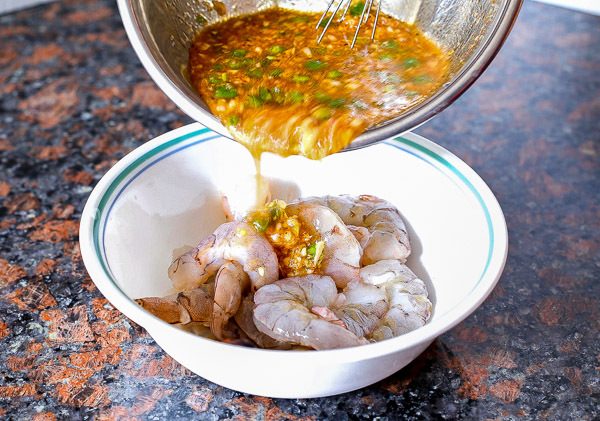 Pour half the marinade over the shrimp and let rest for 30 minutes in the fridge. 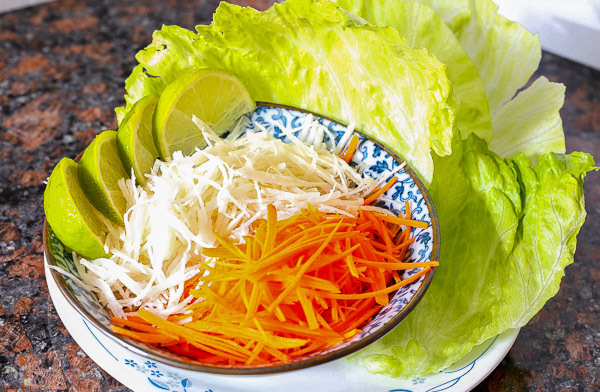 Dress the jicama carrot slaw with the other half and set aside to let flavors meld. 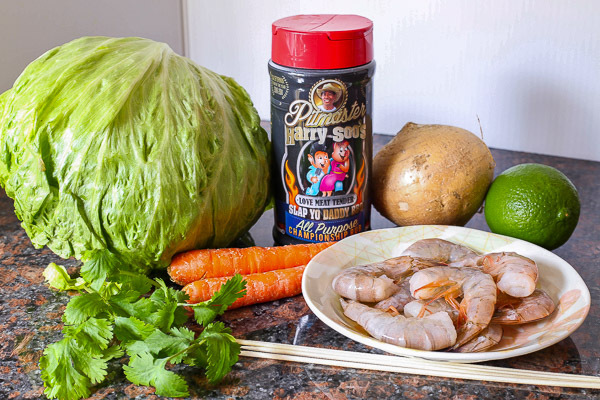 Take shrimp out of the marinade and shake off excess marinade. 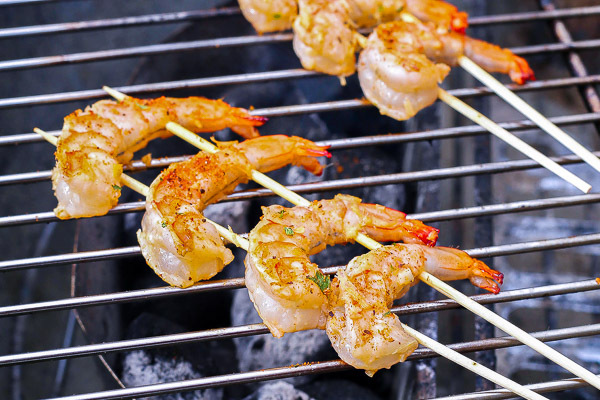 Thread four large shrimp using two parallel skewers to minimize it turning while on the grill. Apply a light coat of SYD All Purpose rub. Grill on a hot grill for about 2 minutes each side. Be careful not to overcook as the shrimp will get rubbery. Mound some slaw onto an Iceberg lettuce cup. 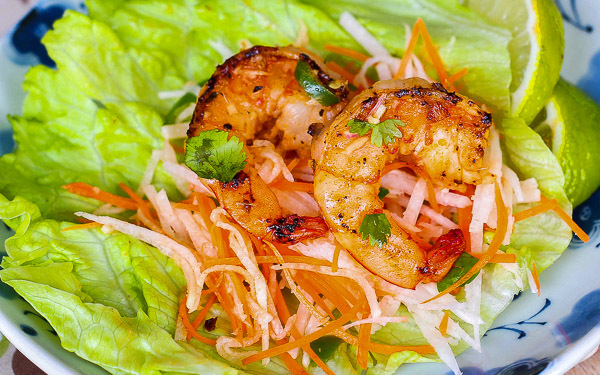 Arrange two shrimp on top. Garnish with chopped garnish and top with lime wedge.